Planning meals, calculating macronutrients, and carefully reviewing food labels are part of the daily routine of most health-conscious people. To that end, you should be paying attention to sugar, especially if you are focused on carbohydrate control and losing weight. The three main macronutrients are protein, which is calculated at four calories per gram; fat, which contains nine calories per gram; and carbohydrate, which also contains four calories per gram. Your daily sugar intake resides in the carbohydrate category. Total carbohydrates, as listed on product labels, include fiber, sugars, and a third item, sugar alcohols. 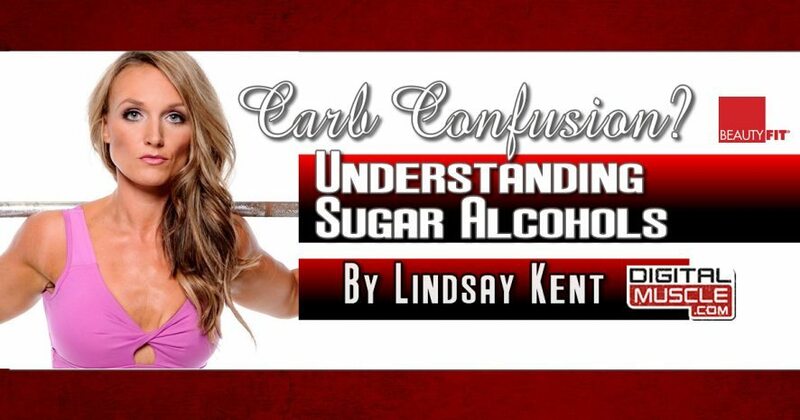 It’s important to understand what sugar alcohols are and how they affect your net carbohydrate consumption, along with their potential side effects. Sugar alcohols are hard for the body to digest because they are incompletely absorbed, with only about half being digested. They are also fermented by colonic bacteria, which can lead to an overproduction of yeast in the body. Common side effects of sugar alcohols include abdominal pain, bloating, gas, and a laxative effect. Symptoms mimic those of irritable bowel syndrome, and people who have pre-existing digestive issues should avoid sugar alcohols entirely. The perceived benefit of eating sweet treats made with sugar alcohols is that you get a sugar fix without the extra calories. Studies also indicate that due to the malabsorption of the sugar alcohols, blood sugar and insulin are not affected as much as with regular sugar. When accounting for sugar alcohols in your daily carbohydrate intake, first determine if the product does in fact contain sugar alcohols. FDA regulations state that there is no requirement for the company to list sugar alcohols unless there is a claim on the packaging. Under “total carbohydrates,” there will be specific line items, including sugar alcohols. To get your net carbohydrates, divide the number of grams of sugar alcohol in half, and subtract that number from the total carbohydrates. So, if the total carbohydrates is 26 grams, and there are 18 grams of sugar alcohols, you divide 18 grams by 2 and get 9; then subtract 9 from 27, which gives you 17 grams. This formula provides a more accurate picture of your carbohydrate consumption, since you digest only about half of the sugar alcohols. Below is a brief snapshot of some of the most common sugar alcohols you will find listed on product labels, including their glycemic-index ratings. The glycemic index ranks carbohydrates on a scale of 0 to 100 based on the extent to which they raise blood sugar after you eat them. High-G.I. foods are digested and absorbed quickly, which causes blood sugar levels to rise quickly and fluctuate, triggering insulin release. Low-G.I. foods are processed slowly and so increase blood sugar and stimulate insulin slowly and steadily. In general, you want to choose foods that have low glycemic-index ratings, especially if you’re focused on weight loss. Regular sugar, or sucrose, has a G.I. rating of 65. Xylitol is found in berries, corn husks, mushroom fibers, and oats. This sugar alcohol has little to no effect on blood glucose and insulin, and studies are beginning to indicate that it may contain a bone remineralization agent could be integral in the prevention and treatment of osteoporosis. It is also a proactive agent against dental cavities and plaque, which is why gum and mint companies use xylitol as a primary agent. It has a glycemic index rating of 13. Sorbitol is found primarily in stone fruits and is used predominantly in diet sodas, sugar-free ice creams and desserts, and cough syrup. People tend to overeat sorbitol because it is not as sweet, so the “sugar fix” is harder to achieve. Consuming too much sorbitol can lead to extreme gastric distress. There are no proactive benefits, and the glycemic index rating is 9. Erythritol is unique in that it is the only sugar alcohol that appears not to cause gastric distress, as the body does, in fact, absorb it, as opposed to its being sent to the colon for fermentation. Studies indicate that there is no effect on blood sugar or insulin rise. Not surprisingly, it has glycemic index rating of 0. Maltitol is very similar to sugar in terms of taste, feel, and cooking performance, but because it yeasts and ferments once it reaches the colon, it’s been known to cause extreme gastric distress, reportedly including bloating, abdominal pain, and diarrhea. It has a glycemic index rating of 36. 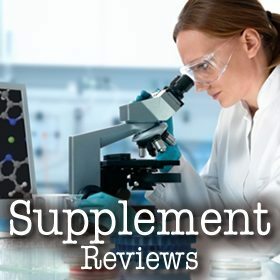 Visit DigitalMuscle.com’s Nutrition Blog for more physique altering info! As the captain of a Junior Olympic volleyball team, Lindsay Kent loved testing her limits and digging deep to push herself to the next level. Fitness and nutrition were such an ingrained part of her lifestyle that fitness was the obvious career choice. She’s a professor at the International Sports Sciences Association (ISSA) College of Exercise Science and also owns her own training business, Lindsay Kent Fitness. She holds the designation of Master Personal Trainer, with specialty areas in Fitness Nutrition, Strength and Conditioning, Exercise Therapy, Youth and Senior Fitness, and Athlete/Functional training. She is a spokesmodel for ISSA, writes for various fitness publications, and is a BeautyFit sponsored athlete.